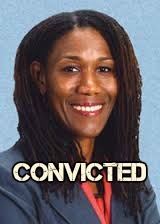 San Diego Unified Trustee Marne Foster Convicted!!! According to numerous news sources, San Diego Unified School District Trustee Marne Foster has been found GUILTY and has been forced to resign her position on the SDUSD School Board! District Deeds has been exposing the violations of FORMER Trustee Foster’s and Superintendent Cindy Marten’s violations since June of 2015. An embattled SDUSD board member, accused of holding a fundraiser to pay for her son’s school tuition, entered a guilty plea to one count of receiving gifts in excess of the legal limit Tuesday, the San Diego County District Attorney’s office said. 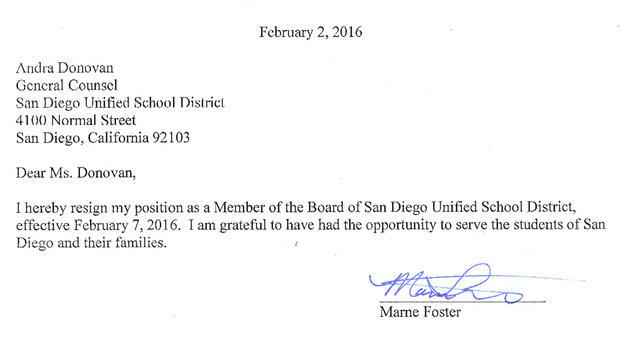 A judge ordered Marne Foster to resign her position on the SDUSD school board. Because of an agreement made, she will be placed on three years probation and must resign. Her resignation was tendered this morning and is effective Feb. 7. Foster will not be allowed to run for any office for four years. Foster was sentenced to 120 hours of community service and will have to pay a fine and restitution, according to the DA’s office. DO NOT let Marne Foster be the scapegoat for CINDY MARTEN!!! Nice work Deeds Blog without your investigations this would have been swept under the carpet. But there is work still to be done….. I am talking Cindi Marten,,,,This Minion of Foster must be fired as well. She has fired or ran off so many competent Administrators it is sick !!! It has badly hurt the School District. Marten has tied the hands of site Administrators so tight they cannot enforce any rules of behavior control. Parents your CHILDREN are not safe on school campuses because Marten has no rules for campus control !!! Chaos rules the day at our schools. STOP her now.